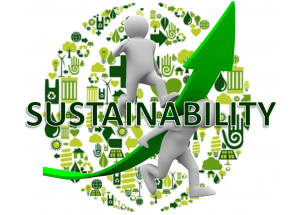 Saturday, April 23, 2016, at Saint Peter’s University in the McIntyre Lounge located at 2641 John F. Kennedy Blvd, Jersey City, NJ 07306, from 1:00 p.m. to 5:00 p.m. the 4th Annual Sustainable Living Empowerment Conference presents inspiring speakers and thought-provoking roundtable discussions. This intimate, community-driven conference is meant to move people in a way to want to be the change that they would like to see in the world. It is also an opportunity for organizers and grassroots organizations to come together under one roof, share ideas, and move their respective mission(s) forward. Attendees will be inspired and empowered by our panelist and roundtable discussions in a way where they become active participants toward the goal of building healthy, sustainable communities. Empowerment is a multidimensional social process that helps people gain control over their own lives. It is a process that fosters power in people for use in their own lives, communities and in society by acting on issues they define as important. Free and open to the public, this event is being organized by Newark Science and Sustainability, Inc. [Newark SAS] with the support of Vaibrenta Holistics & Creative Community Action, Alpha Kappa Alpha Sorority Incorporated, Forward Ever Sustainable Business Alliance, Saint Peter’s University (Department of Political Science, Social Justice Program, Public Policy Program, Sustainability Committee), and many others. 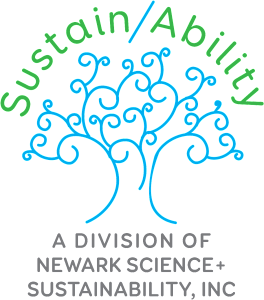 Taking the approach of social entrepreneurship, Newark SAS is a community-driven, 501c3 nonprofit organization that strive to assist with the creation of self-sustaining communities by developing pathways for green jobs that contribute to self-sufficiency and community empowerment. Be a panelist and participate in a discussion regarding poverty, health & wellness and ecological sustainability. 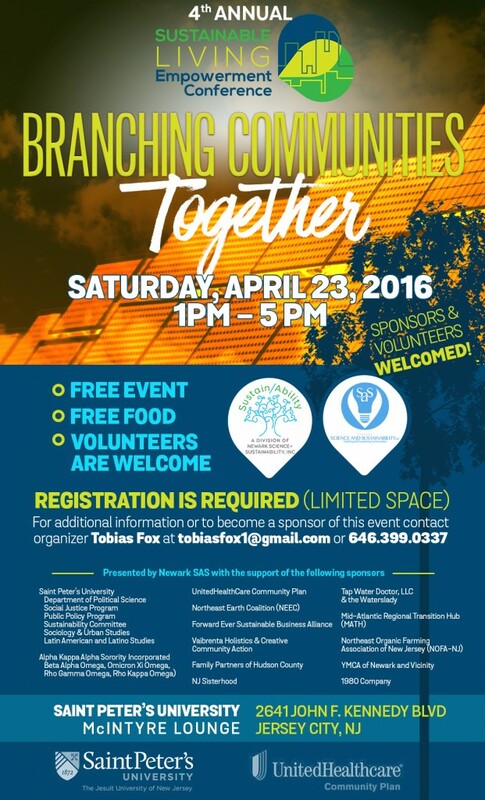 For additional information or to become a sponsor contact organizer Tobias Fox at tobiasfox1@gmail.com. 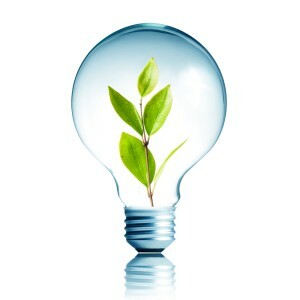 Posted in Blog, Community Gardening, Glocal, Healthcare, Sustainability, Urban Agriculture and tagged Sustainability.